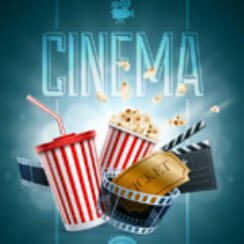 Popcorn Cinema Show takes a look at the movie releases 6th May 2016 for the UK, US, Australia and New Zealand at the cinema, plus all the weeks film news. The US gets Captain America this week whilst the UK is treated to Bad Neighbours 2. The Jungle Book stays top for a third week, whilst Captain America: Civil War goes straight in at number 1 in the UK. Robinson Crusoe has to work with the animals on the island if he is to survive.